A former software professional, Beth now mixes her enthusiasm for instruction and illustration, writing and editing, and design of all kinds in the world of things made with string as Beth Whiteside Design. She’s taught classes locally in the San Francisco Bay Area since 2003, nationally at events like STITCHES since 2005, and online at Annie’s Craft Store and Craftsy. Her goal in creating and teaching classes is to further each student’s knowledge and skills, opening their mind to new creative possibilities. Her instructional style takes into account the many ways we learn, and breaks class content down into manageable chunks that build on each other. Beth’s love of teaching is driven by a search for the “aha!” moment, and she revels in finding new ways to make those light bulbs go on in her students’ heads. When she isn’t teaching, Beth works in the fiber arts as a technical editor, writer, designer, and graphic designer. She loves trying new crafts and techniques, and has recently become obssessed by knot-tying and weaving on little looms. You can find her designs in publications such as Creative Knitting and Knitter’s Magazine, by yarn companies such as Red Heart, Cascade, and Blue Sky Fibers, and in her own indie pattern line. I have a degree in Biotechnology from Worcester Polytechnic Institute in Massachusetts, and 20-plus years experience in software quality assurance. Knitting was a hobby for many years, a tangible complement to the mental engagement of software work. A change of coasts in the ’90s prompted several bouts of self-examination (Programmer? UI designer? Creative writer?? What did I want to be when I grew up???) and a part-time job in a yarn store, followed inevitably by teaching knitting classes. In 2002 I started a small business called See Jane Knit. I explored selling handknits, launched a very small pattern line, and began teaching at more places in the San Francisco Bay Area. After attending my first STITCHES West in 2004 and vowing never to miss another, I sent in a resume, cover letter, and list of courses to XRX, Inc, the folks who run the show. And so in 2005 I began teaching nationally at all the STITCHES events. One thing led to another, and I began technical editing and information design work with Knitter’s Magazine and XRX Books. 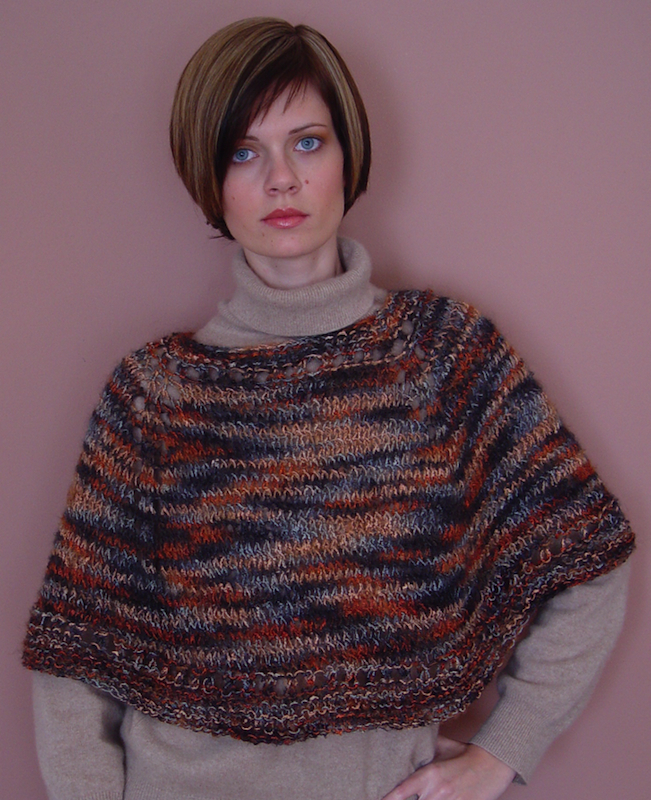 In 2007 I began writing articles and designing accompanying projects for Creative Knitting Magazine. That led to some technical editing for Coats and Clark… and so on and so forth, with more work following. Ten plus years on, my small business had changed so much that it needed a new, more appropriate, more personal name to encompass the many things I do. Beth Whiteside Design brings these diverse avenues—writing, editing, teaching, garment and information design and layout—under one roof, a fiber arts roof. What I do changes all the time, but it always revolves around the yarn and craft world.